"... a delectable way into Fauré’s chamber music ... there’s warmth aplenty coupled with an ease with its technical demands and a wonderful conversational quality." "... the Kungsbacka Piano Trio holds its own, with performances that are full-toned, liquid, lissome and emotionally engaged ... playing (is) exquisitely poignant ... resoundingly recommended." "Sound quality is crystal clear and well balanced throughout. 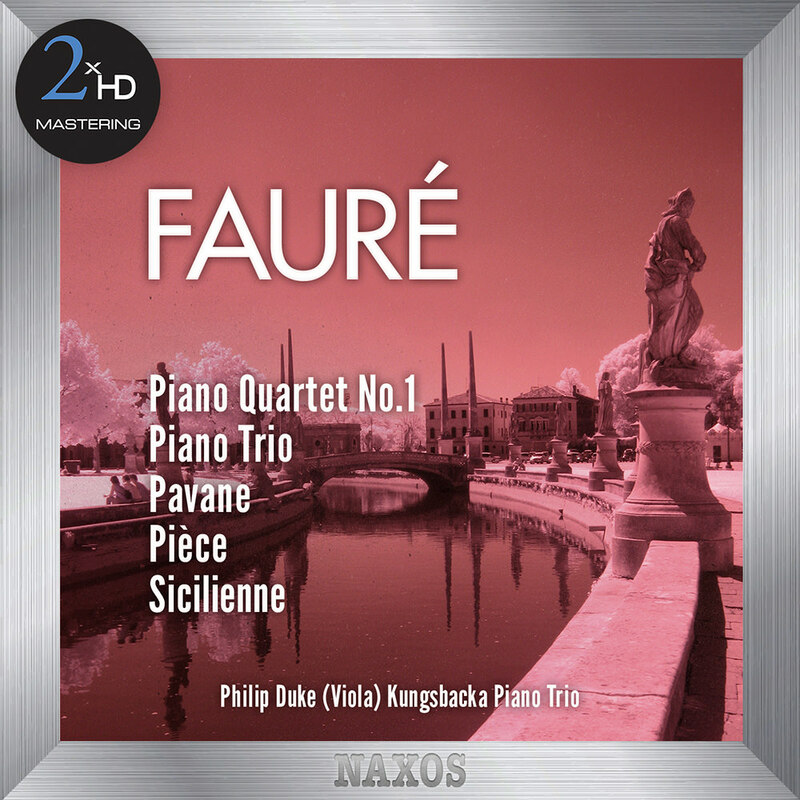 Whether you are looking to discover Fauré’s chamber music for the first time or are looking for new, dynamic and well-engineered performances to add to your collection, this album is definitely worth your consideration." Violist Philip Dukes joins the Kungsbacka Piano Trio on this critically-praised recording of Gabriel Fauré’s popular chamber works, which bridge a gap between the romanticism of the 19th century and the new worlds of music which appeared in the 20th. Fauré used subtle harmonic changes and a gift for melody to combine innovation with an entirely personal idiom, as heard on this programme. This album was mastered using our 2xHD proprietary system. In order to achieve the most accurate reproduction of the original recording we tailor our process specifically for each project, using a selection from our pool of state-of-the-art audiophile components and connectors.The process begins with a transfer to analogue from the original 24 bits / 96kHz resolution master, using cutting edge D/A converters. The analogue signal is then sent through a high end tube preamplifier before being recorded directly in DXD using the dCS905 A/D and the dCS Vivaldi Clock. All connections used in the process are made of OCC silver cable. DSD and 192kHz / 24-bit versions are separately generated, directly from the analogue signal.